I love being with my family. I love being together and showing them off. My daughter is fun to be with and can really light up a room. For these reasons, it’s not often that she isn’t with us. I can honestly say I don’t think we will be the type to ever vacation without our (young) children since family time is so important to us. As they get older and involved in their own things, obviously this will change, but I won’t be dropping my toddler off at grandma’s for a week while I lie on a beach – I want her with us! Though we love having her around, sometimes it’s just not appropriate. This coming weekend, one of our best friends is getting married. While our little one was invited to the wedding, and it is a child-friendly wedding, we have decided not to bring her. My husband is standing in the wedding and it will be a long day. Asking her to be on her best behaviour while going on five hours past her bedtime just isn’t fair to her. So we can enjoy the wedding and not have to worry about keeping her happy, we have opted for a babysitter for the day. I don’t want to be responsible for creating the memory of the crying child during the father-daughter dance. She can stay home and play with her aunt. While her name was addressed on this invite, her name was clearly not present on another wedding invite. We didn’t even have to ask. If her name wasn’t present, I can assume this particular wedding is a child-free wedding, or at the very least, baby-free wedding and I totally understand that. The wedding is later in the day and alcohol will be served. Having an infant present just didn’t make sense. If the name is not on the event invite, assume your child is not invited. Today’s more informal invitations through email and Facebook, where large groups of people can be invited at once, can sometimes leave for awkward moments. 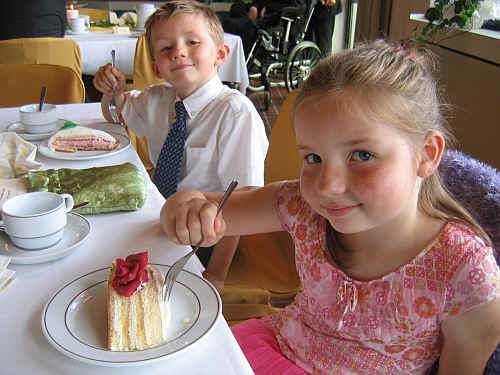 If your child isn’t named as a guest, you will usually be forced to ask if they are invited. Though I’d usually just ask if this was a child-friendly event, or if I should make plans to leave her at home, sometimes an educated assumption will do. If you know Bob’s birthday party is starting at 8pm and will go well into the evening you can probably assume the child’s name was omitted for a reason, but if there is an afternoon BBQ birthday party and their name wasn’t on the invitation, it could have been an honest oversight. I sometimes feel like our childless friends feel like they have to invite our daughter to all events. I wish people would be more comfortable in saying that children are not invited so there is no awkwardness. In preparation for these weddings, I was invited to a bridal shower where I was told it was alright to bring my daughter. Knowing it was in the afternoon, I didn’t think much more of it. I arrived at the shower where I knew other women with young children would be only to find out they didn’t bring their kids. The host told one non-mom she didn’t really want kids but felt like she couldn’t ask us not to bring them. This message got around to everyone but me, talk about awkward. In terms of hosting etiquette, if you really don’t want children present at your event just tell the parents! Parents are usually not offended and totally understand. I can’t see why there would be an issue, especially if there is sufficient time to find childcare. Mom and Dad need baby free time as well, we don’t mind leaving kiddo once in a while. How do you deal with invitations and bringing your children to events? I have an interesting wedding invite and children etiquette question. We were invited to a family friend’s wedding earlier this year when my wife was pregnant. The invitation only was addressed to us, but there was no baby yet. We see these family friends several times a week, and every time we saw them, they said they wanted the baby at the wedding (the baby would be about 4 weeks old). It was a big outdoor wedding with over 300 people, so we figured we’d bring him and scoot early if he was fussy. Anyway, the bride’s mom calls my wife’s mom and says that children aren’t allowed at the wedding, even nursing babies. Since my wife is nursing, she can’t just leave him at a sitter. We’re not going to start trying a bottle until 6 weeks old. Anyway, our supposed family friends essentially dis-invited us from their wedding because they didn’t want children and we can’t leave him yet. We found it rude. They could have either not invited us (they knew the due date and situation all along), the could have told us much sooner, or they could have accepted a newborn at their wedding. What are your thoughts? Honestly, I think it’s rude. Especially given 1) the size of your child and 2) you were already told you could bring your son. I would call the bride/ groom and tell them you won’t be able to make it to the wedding because your wife is nursing ( go wife! ) and cannot be away from baby yet. You apologise for the short notice but leaving your newborn at home isn’t an option. I’d send a gift with another family member or buy off registry if you feel a gift is necessary. Also, I was never able to give my daughter a bottle. I was her food source for 13 months. This is great advice. Although my parents were like you and always vacationed with my brother and I there were always certain situations where us tagging along did not make sense or was inappropriate. My wife I and decided we would not be extending invites to children when we got married. This was partially because the amount of children was large enough to make a significant impact on the overall cost of our wedding, but also because we wanted our wedding to be a fun night for our friends to let loose without their children. We specifically informed our quests long in advance of this request and had no angry responses. Yup! Just lay it out there well I’m advance and shouldnt have a issue!